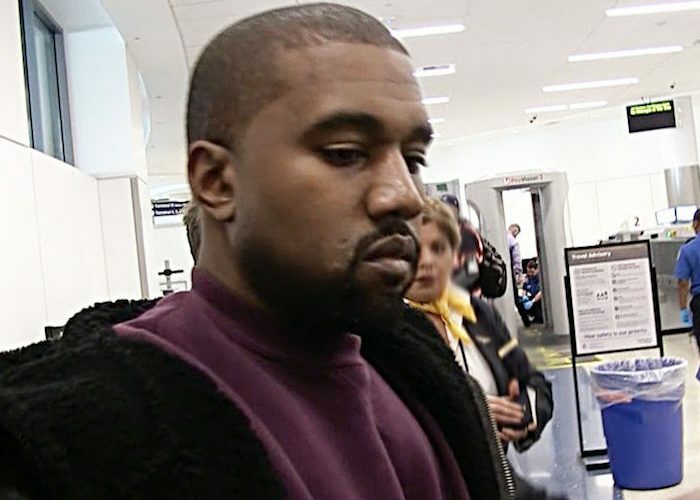 Kanye West is still hospitalized and more details are coming out regarding his mental state. The G.O.O.D. Music emcee is suffering from extreme paranoia and depression, but doctors are closely monitoring his situation. Kim Kardashian, who has been an emotional wreck since her Paris robbery, has been by his side at the UCLA Medical center for the last week. Kanye West thinks that people at the hospital are out to get him, including the doctors who are treating him. There were times when he wouldn’t even allow the doctors to touch him. Ye’s paranoia didn’t happened over night and has been going on for months, TMZ reported. The reason for his hospitalization has been listed as dehydration and exhaustion, which his doctor say triggered a psychic break. But seems there is a lot more going on than just exhaustion. The remainder of Kanye West “Saint Pablo” tour has been cancelled and he will loose millions unless his insurance company dig deep in their pockets to foot the bill from his fallout. Kanye himself started showing signs of deeply troubling issues bothering him during his tour when he would stop midway his set and rant about different topics including wanting to vote for Donald Trump and his infamous rant about Beyonce and Jay Z.
Kanye West was reportedly working on a new album, as well as, a joint project with Drake, but given his current mental state, all of these efforts could be placed on the back burner. Needless to say that since his sudden hospitalization last week for a psychic break, Ye has been getting a lot of support from his rap peers including Kid Cudi, Chance The Rapper, and even DMX, who shared a video on his Instagram page telling Ye that he is praying for him. So far there are no word on his release date from the hospital.